I never thought of Hal Jordan’s post-Emerald Twilight persona as a villain in the strict sense of the term. To my mind, he was an adversary or an anti-hero. The best “villains” always believe themselves to be the heroes of their own stories. Hal was convinced of the righteousness of his cause, which I thought made the Parallax persona a pretty complex, interesting character. The most obvious parallel was for him was Magneto. His goals might have brought him into conflict with his heroic counterparts, but there was a certain nobility to his cause. There’s an adage that Marvel villains want to conquer the world, DC villains rob banks. 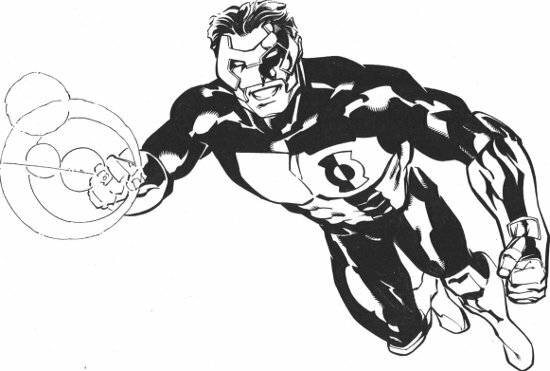 Kyle Rayner was very much a “Marvel-style” hero in terms of the Everyman archetype. 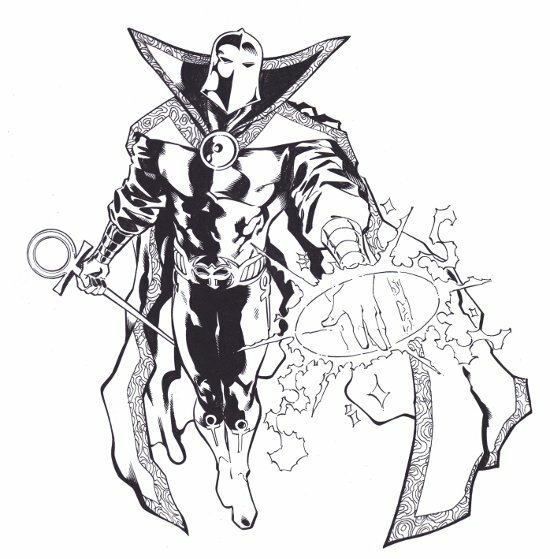 I don’t think it’s a stretch to say that Parallax was a “Marvel-style” villain. 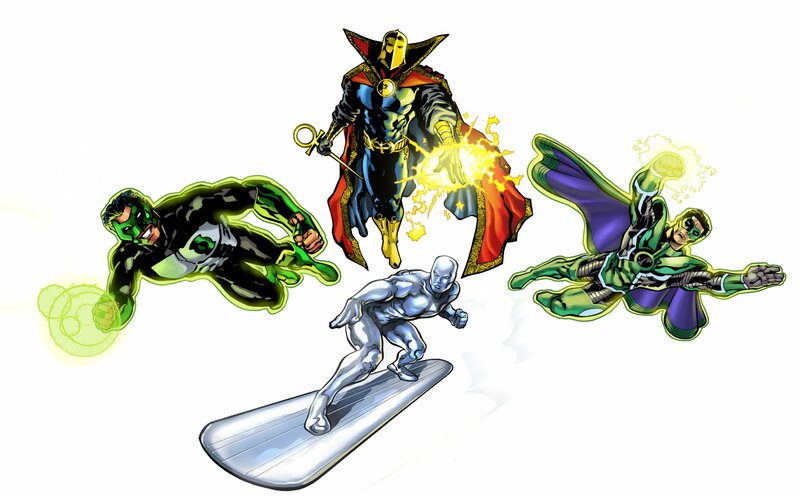 The notion was to add a cosmic-level antagonist the DC’s pantheon, somebody other than Darkseid. 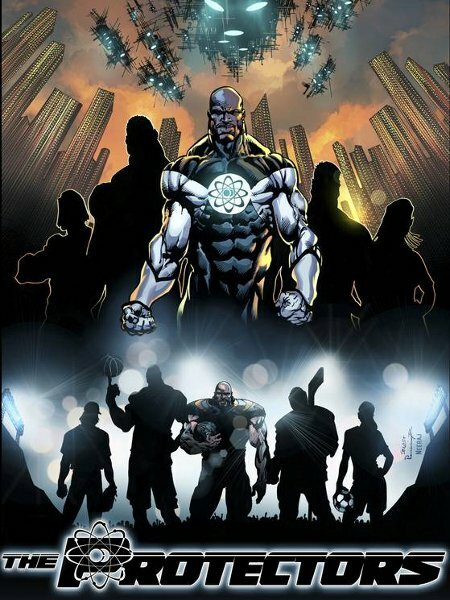 Special thanks to my GL artist Darryl Banks for coming up with the Parallax name. For the next few days, some things from the art archives. Prior to moving to Florida for CrossGen, I was started gathering the pieces to put together a website. That website never happened. Once I was on staff for CrossGen, I didn’t have the time, or maybe even the need, for a personal website. 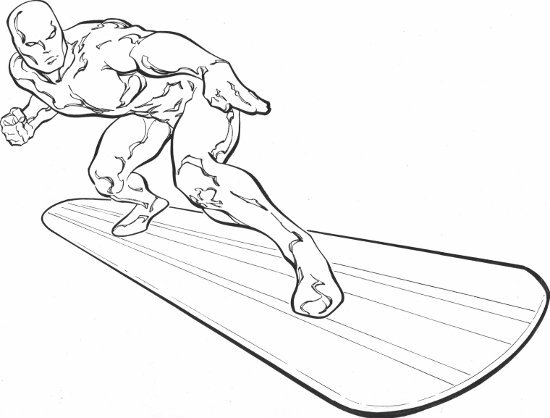 But in digging through my art drawer recently, I found the four pieces I intended to use on the site’s home page. All four pieces are by Georges Jeanty, best known now as the awesome artist for Dark Horse’s Buffy the Vampire Slayer comic. Georges penciled and inked all four pieces as a favor to me, and I’m still appreciative. 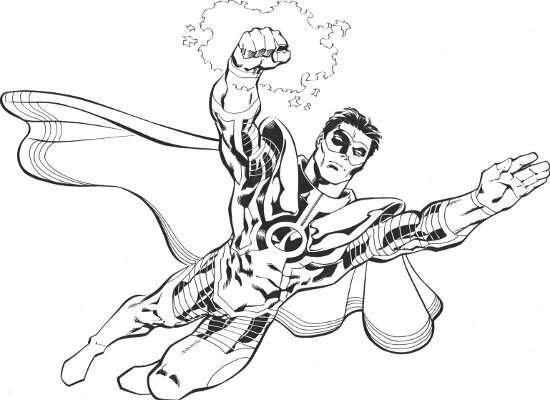 This, obviously, is the Green Lantern nearest and dearest to my heart, Kyle Rayner, in his original costume. As far as I know, this is the first time this piece has ever been seen (that goes for the rest of the pieces too). I’ll show off the remaining pieces over the next few days. I first saw Georges’ work when he was sharing studio space in Georgia with Dave Johnson, another buddy. Dave sent me some of the work Georges was doing on a few indy titles, I was impressed, and passed along his stuff to my editor at DC, urging him to try out Georges on a gig. That led to us doing some Green Lantern work together, followed by a few Superboy issues. Actually, my favorite issues of the year-long run I did on Superboy. Now that I think about it, that’s the last time Georges and I worked together. I’d really like to remedy that in the future.